Posted by Teresa Mihelic HelpDesk on Monday, August 27th, 2012 at 9:30am. 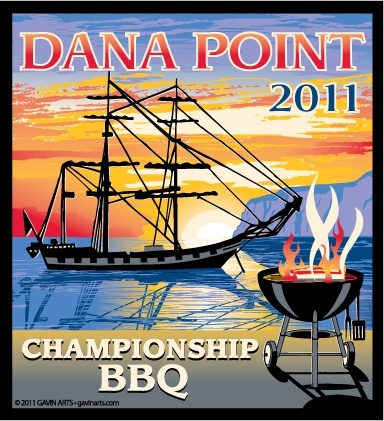 The city of Dana Point is ready to host the 2nd Annual Dana Point BBQ Championship which will bring world class barbeque chefs from all over the country, and as part of the event, the public can sample various BBQ meats prepared by the competitors in the People's Choice Tasting. Prize money is generated from team entries and represents a 100% payout of all fees received. This year there will be a $15000 prize, and the judging process will be done by KCBS (Kansas City Barbeque Society), a non profit organization dedicated to enjoying and promoting barbeque, and that has over 15,000 members worldwide. Tasting tickets are $2 each, which gives a taste of chicken, pork, ribs or brisket with each ticket. In addition to all the great BBQ, the city is partnering with 'Taste of Brew', a micro brew garden where there will be special micro samples of over 25 distributors. Friday 28th will be the setting up date, the contest, judging and sampling will be on Saturday the 29th. A blind judging process will be used to give awards to the best barbeque of all types, like St Louis, Texas, Memphis and Carolina styles.